My business and my mission all revolve around the birth story book. Yep. it's ALL ABOUT THE BOOK. 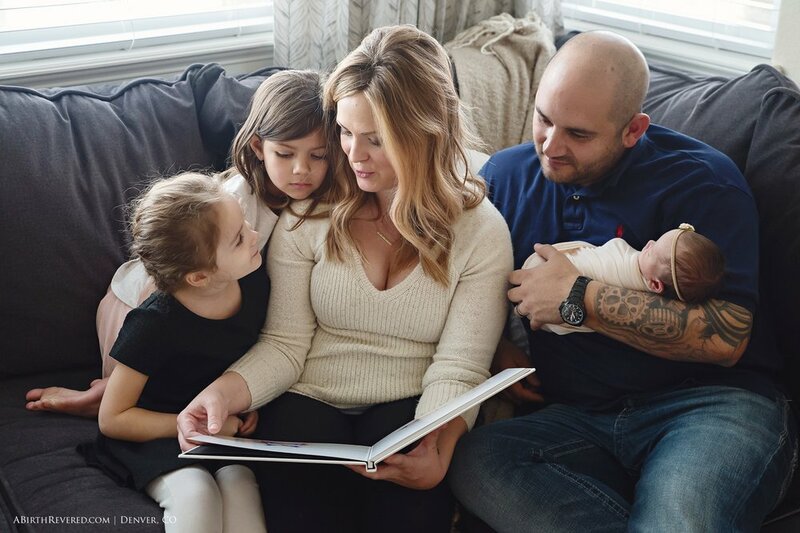 I don't want families to go without an absolutely stunning birth storybook they will treasure, share, and pass down from generation to generation. These books are large, well-bound, printed on thick, archival-quality paper made to last. My clients also receive a mini brag book, perfect for toting along in purse or pocket, or gifting to a grandparent. Storybooks are something we design together, meaning I design and take your input and revisions into account. We typically go through 2-3 revisions. Storybooks are made to be very personal to each birth experience. . .:: Browsing through middle sister's storybook ::. .